Investors of KuCoin, a major crypto exchange, are expressing their concerns regarding the mysterious disappearance of KuCoin headquarters in Hong Kong. Earlier this week, Jackson Wong, a cryptocurrency researcher and journalist based in Hong Kong, released an investigative report on the headquarters of KuCoin, which are supposed to be based in Wan Chai Hong Kong, at 300 Lockhart Road, Kiu Fu Commercial Building. 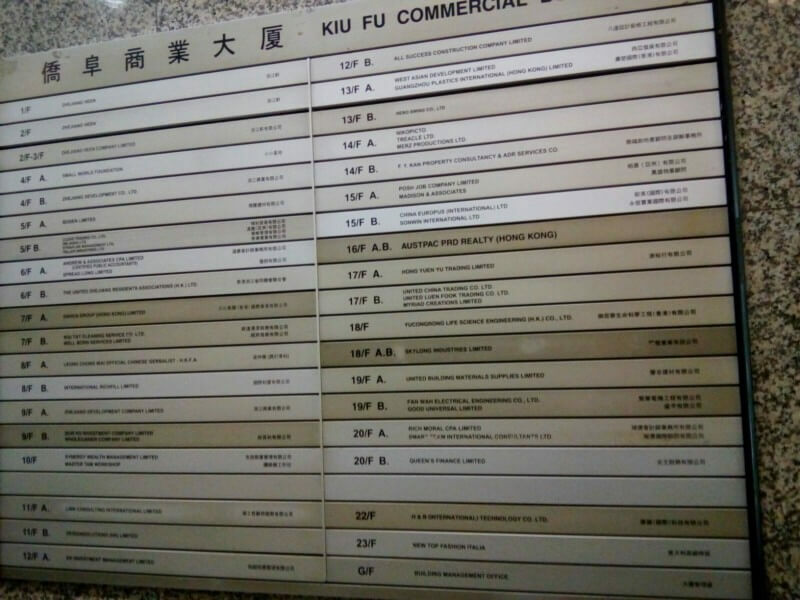 Over the past few years, KuCoin has supposedly occupied the 20th floor of Kiu Fu Commercial Building leased out by “Smart Team International Consultants Ltd” as its official headquarters indicated on its platform. On August 12, KuCoin released an official announcement on its SubReddit /r/KuCoin and revealed that its headquarters in Hong Kong are in fact empty, and the actual headquarters of the company are in Singapore. The KuCoin team claimed that the address listed on its website was merely a mailing address of one of KuCoin’s many subsidiary companies and that the company has been based in Singapore for awhile. As a large-scale cryptocurrency exchange with 24/7 customer support, KuCoin cannot possibly operate with less than a hundred employees, and as such, the claim that the company has over 300 employees is justifiable in itself, because the exchange has been offering such customer support for quite some time. However, the concerns of investors towards the legitimacy of KuCoin as an established crypto exchange are also reasonable, given that KuCoin remains as the only major cryptocurrency exchange to operate covertly and maintain the location of its headquarters a secret to the public. Wong, the author of the investigative report which forced KuCoin to offer clarification on its headquarters for the first time, said because KuCoin is in stealth, it is possible for the exchange to pull an exit scam and turn its back on its investors. Evidently, given the sheer amount of profits crypto exchanges generate, the probability of KuCoin initiating an exit scam is very low. What Happens Now to KuCoin? As KuCoin is one of the biggest crypto exchanges in the global market, if it continues to maintain its operations in stealth, hidden from the public, investors may begin to lose confidence in the legitimacy of the exchange. For its long-term growth and reputation, disclosing the address of its headquarters similar to how Coinbase, UPbit, Bitfinex, Bittrex, and Binance have done over the past few years may be beneficial to the exchange.